Going under the banner of Emoji 11.0, a raft of new emojis are due to hit the screen of iOS and Android devices later this year. After being previewed late last year, the full list of emojis has now been published by the Unicode Consortium, and they're due to be launched in the second half of 2018 -- August or September. What can you look forward to? New red-haired and bald men and women feature, as do a female superhero, a pirate flag and a microbe. The release sees quite a jump in numbering -- from Emoji 5.0 to Emoji 11.0. This is not really like Microsoft and Apple skipping Windows 9 and the iPhone 9, but it brings the emoji numbering in line with that of the Unicode Standard. 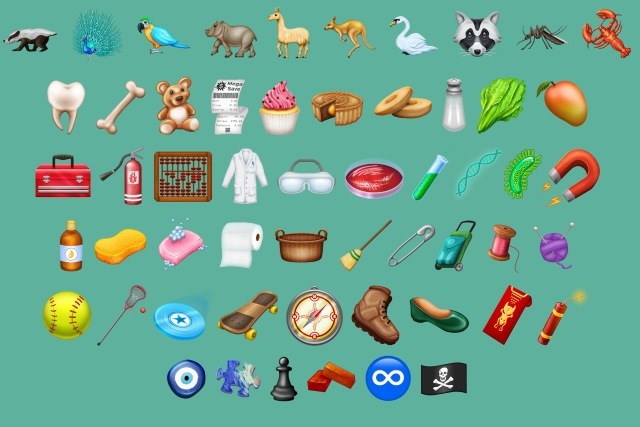 Unicode is already accepting proposals for new additions to be included with Emoji 12.0, and the deadline for submissions is March this year.